We will try to inspire you every Earth Day with some rhyme. We hope you have a great Earth Day 2015! Please carry and extrapolate the thoughts and respect for the Earth that you feel on this one day to the other 364 days a year. You instinctively know what must be done. Marvel how you raise up each plant and tree. Even aware when your eye is closed tight. Cause turmoil at times or tranquility. I love you Earth and all of your creatures. There's joy in knowing you are our teachers. When we poison you, we poison us too. Keeping you balanced will grow life anew. And love that's bestowed when given our birth. As sweet Nature sings her loveliest tune. Align itself with something more than greed. Their fangs ripping at Earth's delicate crust. Drawing dividends from dying streams? Yet none will prosper once the Earth is scree. We will try to inspire you every Earth Day with some rhyme. This year we have a few selections from last year and a few new entries as well. We hope you have a great Earth Day 2012! 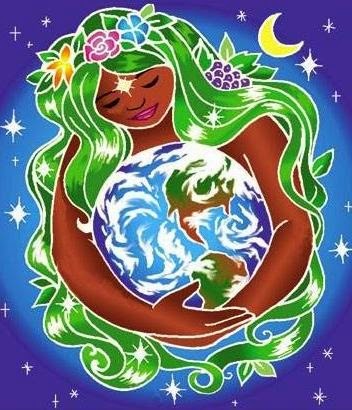 We hope that we all carry and extrapolate the the thoughts and respect for the Earth that many feel on this one day to the other 364 days a year. Earth Day is upon us again and in lieu of a long winded letter on how we should all change our practice to protect the beauty of the planet on which we are lucky enough to inhabit, I thought it may be more spiritual to offer some poems inspired by Earth Day or the writers love of the unspoiled Earth. She will embrace me for eternity.